Home › Electronics › Victsing Google Cardboard 3D Vr Virtual Reality Glasses For Iphone Samsung So..
Victsing Google Cardboard 3D Vr Virtual Reality Glasses For Iphone Samsung So.. Turn your phone into a personal movie theater and offer an immersive virtual reality experience. Optimized Experience. Upgraded resin lens provides clearer viewing experience than acrylic and ABS lens. There is a capacitive sensing switch on the right side to help shoot in shooting games. Comfortable Fit. Adopted strong sucker,this cardboard VR headset can keep your phone in place without worrying about falling off. A soft nose pad relieves nose fatigue for snug fit. The forehead tape prevents sweat-absorption and keeps it clean. Wide Compatibility. Fit for phones with screen from 4-5.5 inches. Come with an elastic headband to hold it to your face safely. High Quality. Made of virginal pulp paper, the cardboard 3D glasses are non-toxic and no peculiar smell. A perfect gift for your kids, friends to experience immersive entertainment. VicTsing 3D VR Headset What Can We Do with a Cardboard 3D VR Headset ? Foldable and Environmentally-friendly Design, Enjoy 3D movies/games with amore Simple,Funny and Easier way to spend leisure time, it would be a goodcompanion for you and your kids. What We Updated ? Instead of using acrylic and ABS lens, we adopted high quality resin lens tooffer more clear and comfortable viewing experience. What is a Better User Experience? We devote to offering customers best experience so we considered every detailand improved them. If you want to play a shooting game, you can turn to thecapacitive sensing switch on the left side for help to shoot easily; A soft nose pad can protect your nose and make it comfortable to wear; Theforehead tape is to prevent sweat-absorption while the Velcro mount headbandhelp hold it to your face. Why Choose Us ? 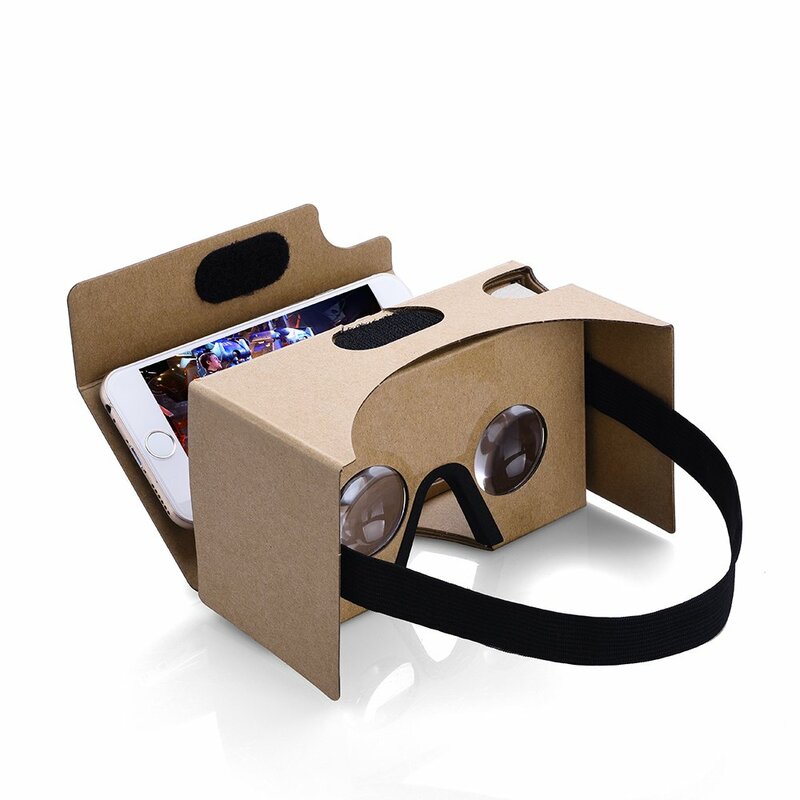 All Our Products are Produced under Strict Quality Inspection 12-Month Worry-Free Warranty and Free Life-time Technical Support Professional Customre service Team 99% Positive Amazon Feedback For Optimal Use: 1.This cardboard VR headset is only suitable for phones with screen from 4-5.5inches; 2.Please select the "Split Screen Mode" from 3D VR contents to havebest experience; 3.It will be better to use a phone with 1080P resolution orhigher to enjoy movies/games; Package Included: 1 Cardboard VR Glasses 1 Elastic Headband 1 Alcohol Bag Warranty: 45 Days money-back and 12-month, worry-free Guarantee!